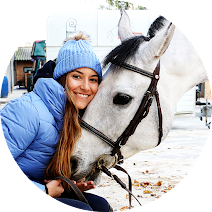 I was in need of a new pair of breeches and I wanted to spend my money on a brand that I had never tried before so it was an easy choice when I saw that Mr. Castle, a recent equestrian brand from Spain, was having a sale. I was a little indecisive between this royal blue and their green breeches but of course I had to go for the blue... :D However, the green will possibly join my breeches collection in the future because they are super adorable! 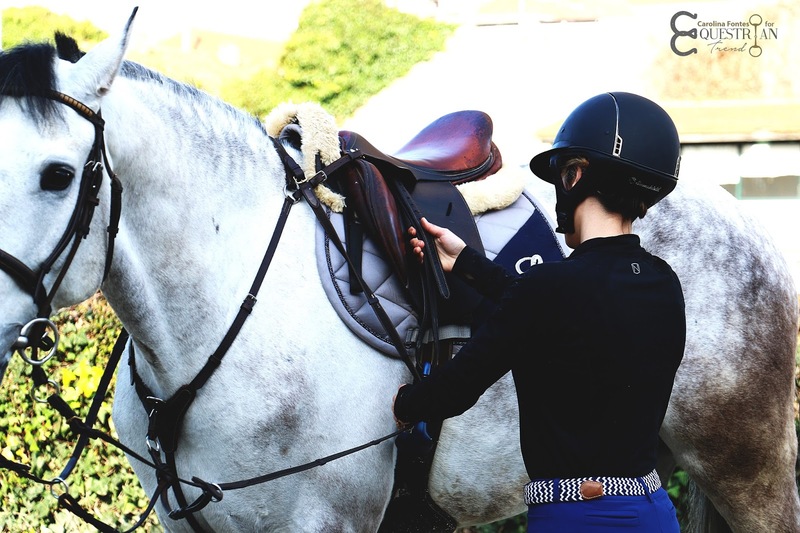 I must refer that their fabric isn't that "typical breeches" fabric, they are made of Polyamide and Elastane which makes them very stretchy and comfortable. 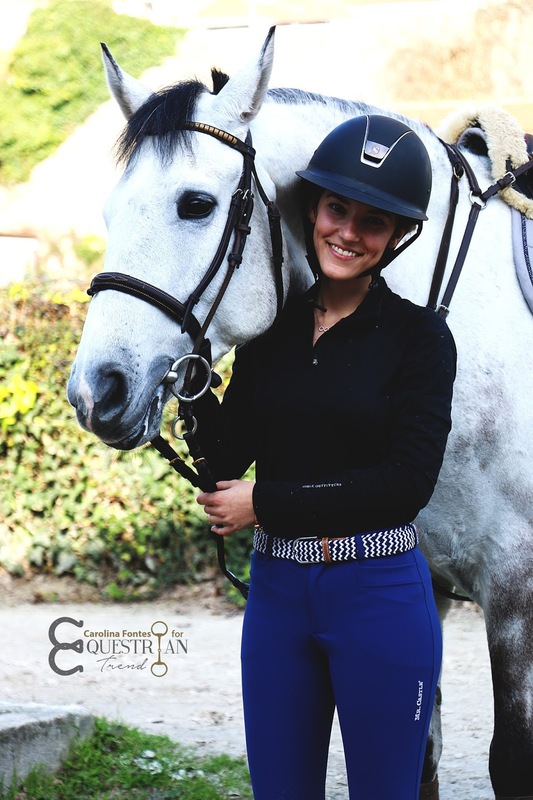 They are also my first breeches with silicone knee patches (yes, I don't know how that is possible) and I was afraid that the grip would be too strong but, to be honest, I didn't feel any difference - perhaps because I has focused on my ride! My least favorite thing about them is that they adapt so much to your body that if you tuck a thicker shirt under them, they will give you a weird shape. With that being said, I am sure they will look much better during the Summer with lighter tops! I'm also wearing the Lauren Quarter Zip from Noble Outfitters that I got years and years ago and still looks like new. I love wearing it on the sunny days of Winter, it keeps me warm enough and has the most amazing velvety touch that makes me feel so, so cozy! 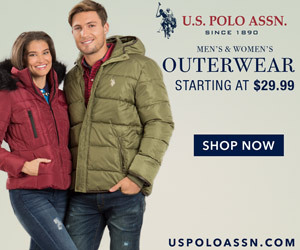 It's also great for layering and has a very flattering cut - if you are looking for a quarter zip, this one is definitely a great option! 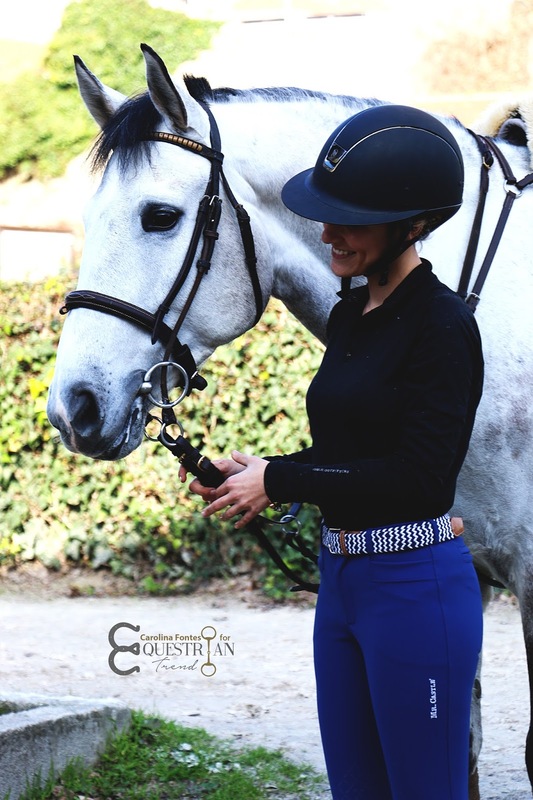 As blue was my theme color for the outfit I went for the braided duo belt from Horsely. I didn't want to use brown polo wraps on Gali because they didn't match the outfit but then when I saw the photos I noticed that they go perfectly with the brown details of the belt, great coincidence!! 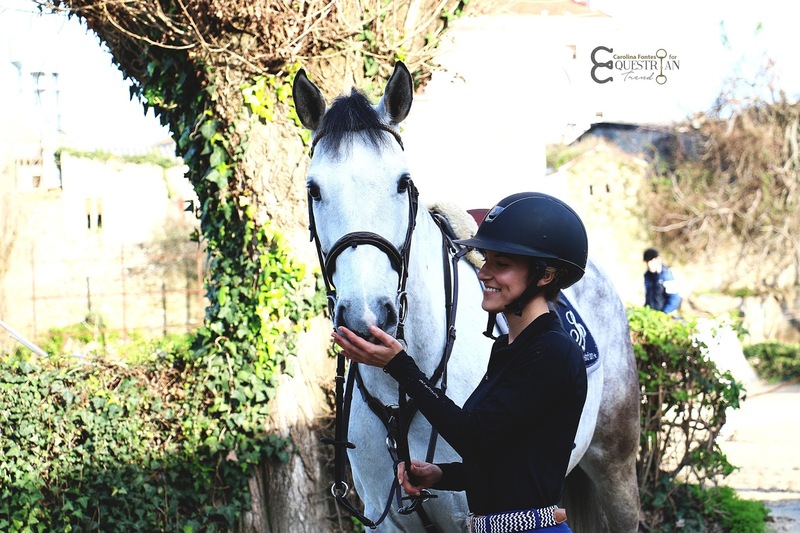 The little monster is wearing Eskadron polos, Spooks saddle pad, Horze breastplate, Butet saddle and new Freejump stirrups that I was using for the first time. And speaking about the stirrups, I am so obsessed with them that the next post will be exclusively dedicated to them! Stay tuned for a review!